How does the system delineate between wanted and unwanted SMS requests? Customer feedback is the most common indicator of something like a CRM system looping. But this means it’s too late –the damage has been done. Although these glitches are rare, a prevention system is valuable. As human error is inevitable and software isn’t perfect, the first logical approach is to come up with a type of filter. 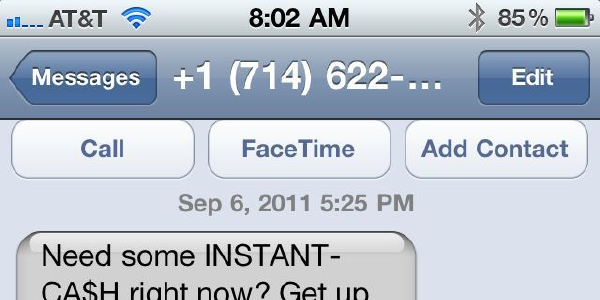 We looked at SMS request patterns, and there is a way to identify a glitch. No business intends to spam their customers with hundreds of messages at once, so a sudden spike in requests is something to look at. Based on these factors, we’ve developed some rules for potential spam or glitch indicators. In one hour, only 5 messages can be sent with the same content to the same number from the same sender ID. In one hour, only 20 messages can be sent to the same number, regardless of content, from the same sender ID. The hour countdown starts from the first sent message. Thus, while we’re always working towards delivering every SMS, we’d like to help as a gatekeeper to keep customers out of trouble. Simple, yet valuable, the spam filter has already helped customers avoid unnecessary costs and customer complaints, while notifying system engineers of potential bugs. And everyone gets this service by default.